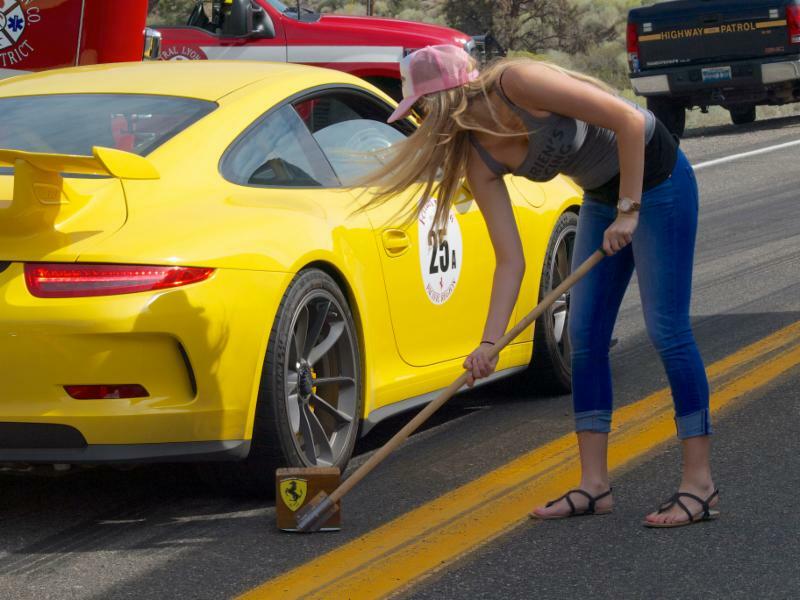 Visited the Virginia City Hill Climb on August 29th and 30th put on annually by the Ferrari and Shelby Auto Clubs. 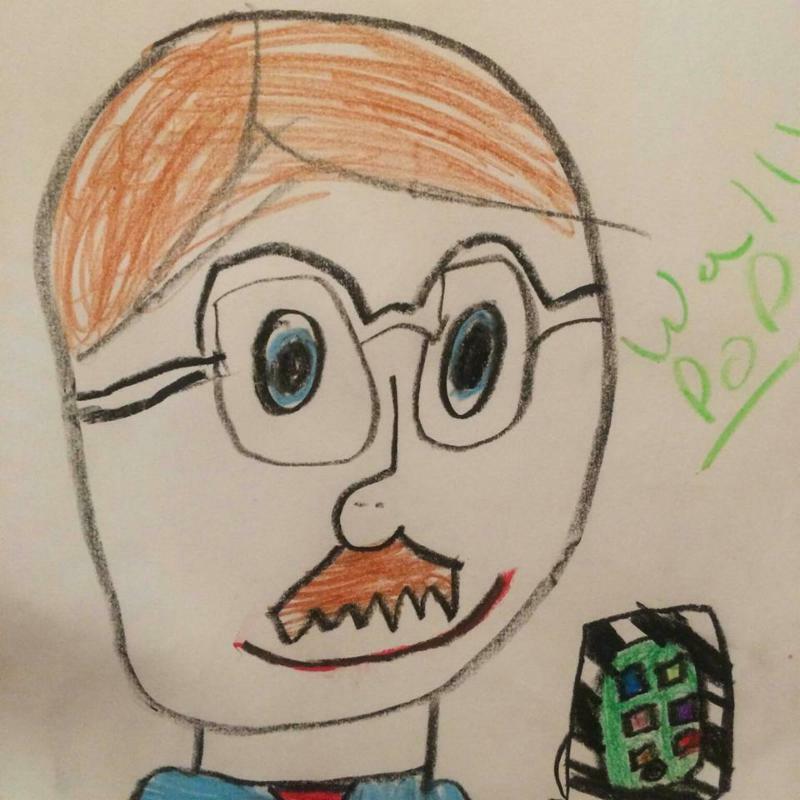 I had heard a lot about the event from various friends and decided to see what all the excitement was about. 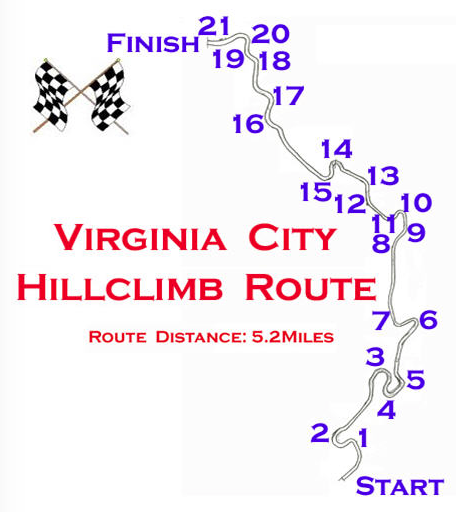 The Hill Climb closes a 5.2-mile road known as Nevada Route 341. It starts at 5000 feet elevation and finishes 6200 feet. There are 20 major turns in that small amount of highway. It starts on a Saturday ending Sunday, there were 65 automobiles registered. I saw everything from Ferraris and Tigers to McLarens, Mustangs, Vipers, etc. 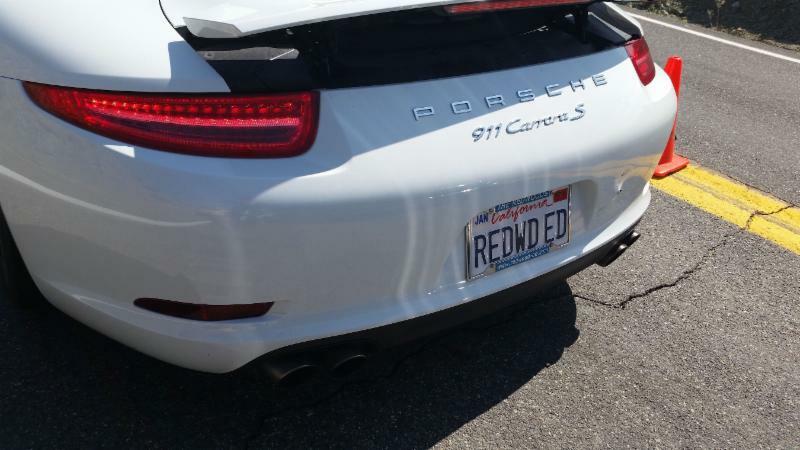 I was of course rooting for the Porsches. 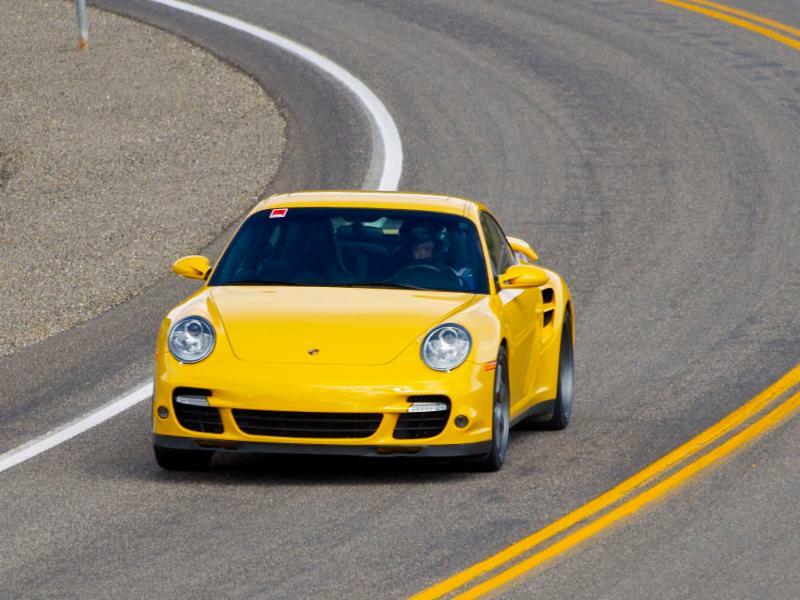 My favorite was yellow 911 Turbo who had the 3rd best Sunday time of 3:25.9 (90.9 mph). 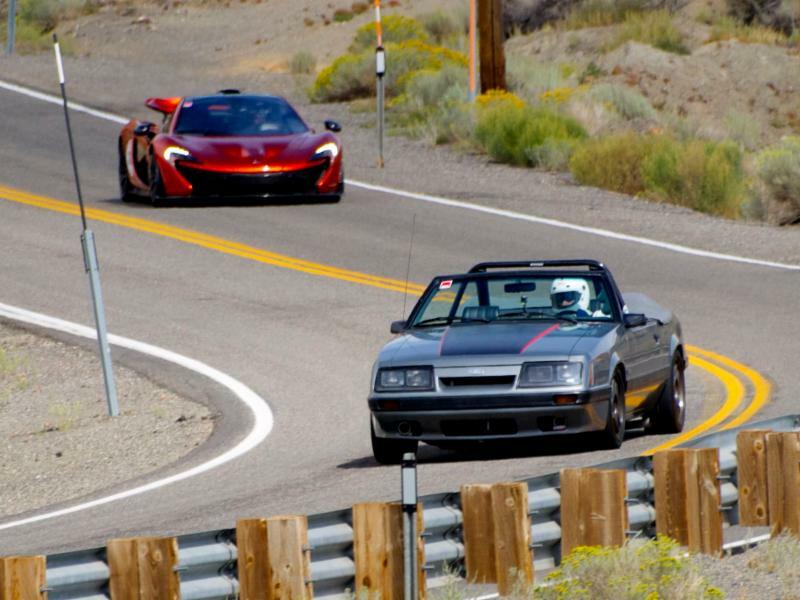 Only the Nissan GTR (3:21.3 / 93 mph) and McLaren P1 (3:22.8 / 92.3) had slightly faster times. I watched the finish line on Saturday and switched to the Start line on Sunday. 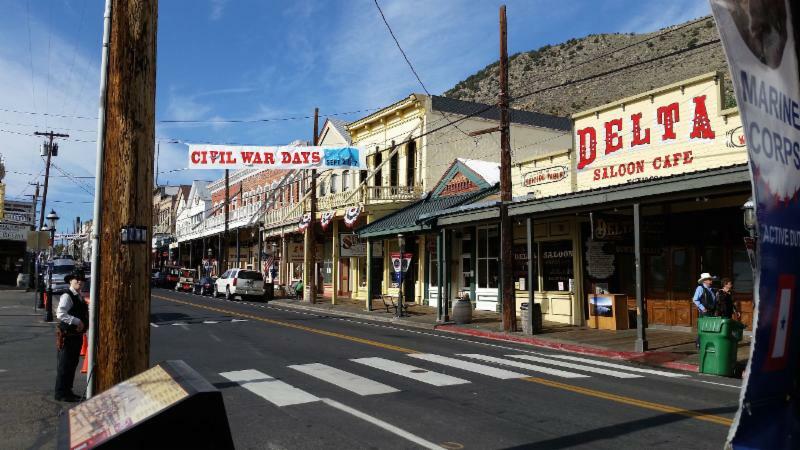 I also toured Virginia City wandering the boardwalk and stopping for Sunday breakfast. This could be a fun venue to plan a weekend trip.